Ireland, they say, is the land of myths and legends. There are hundreds of castles in Ireland dating back many centuries, in fact, there are 65 castles in Dublin alone. Some are still in private use today as homes and hotels, others are derelict, and a great number open for the public to visit. Here’s our list of the top 5 castles we think you should visit in Ireland with your group. When you cross over the threshold of the ancestral seat of the Talbot family in Malahide, you’re transported to a world where knights fought for the love of their lady, where the castle was the hub of the local community, and you could see for miles afar from the ramparts. Hear the story of Lady Maud, who was a maid, a wife, and a widow all in the one day. See if you can spot the ghostly figure of Puck, the jester on the gallery in the dining hall, and see the spectacular private Victorian walled gardens. Located at the point on the River Lee where the channel narrows as it enters into Cork City, Blackrock Castle was built over 400 years ago. The Castle and Observatory is now a science centre and astronomy exhibition. However, groups can, by appointment organise a private guided tour of the telescope tower and explore the castle dungeons for an idea of what it was like for those who fell out of favour with the landowners many years ago. We highly recommend you make this group booking for night time to make the most of your visit and consider adding guided stargazing to your trip (weather dependant). 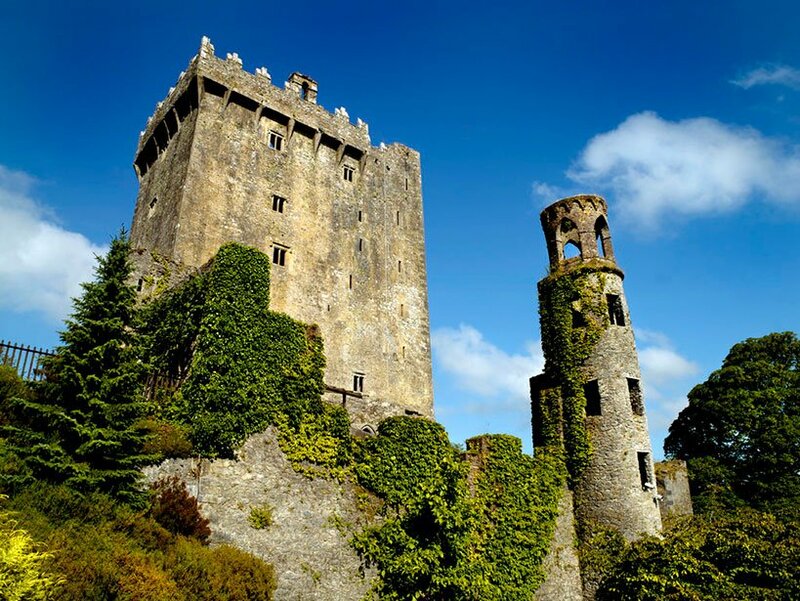 Don’t just visit this iconic castle to kiss the Blarney Stone and get the gift of the gab (although it’s a once in a lifetime experience). 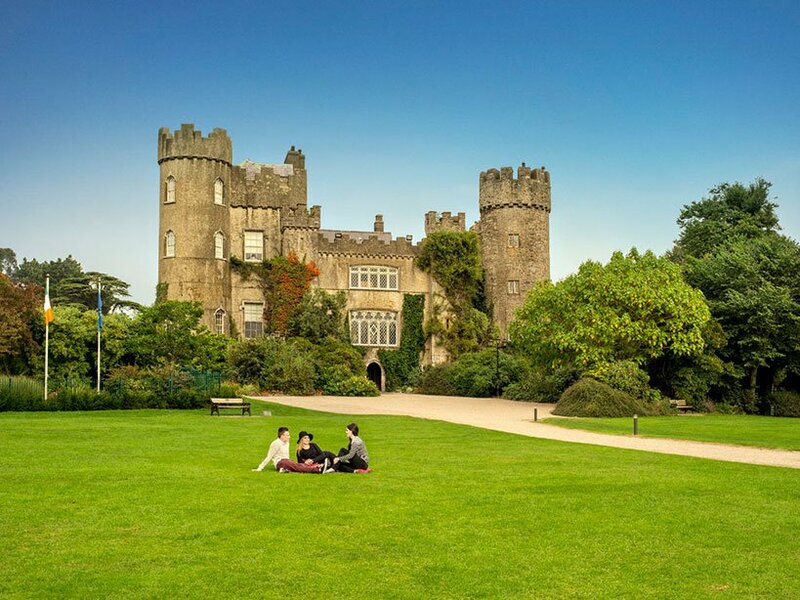 Bring a picnic and explore the extensive estate around the Blarney Castle. There are numerous secluded, magical walks in the area and you can almost feel the spirit of those who have tread the ground before you. 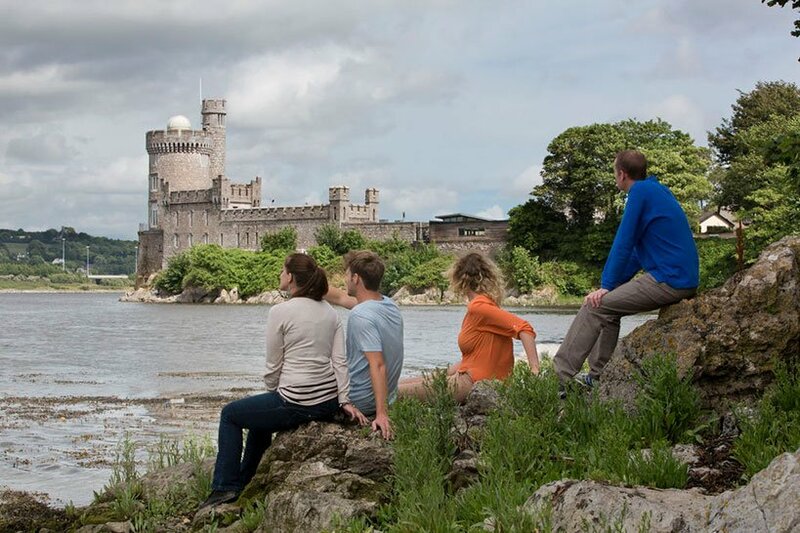 Climb the battlements beyond the stone and take in the view that Samuel Lewis wrote about in 1837, and see the River Blarney as it flows under the walls of the Castle. The seat of the Butler family for nearly eight centuries before it was taken in charge by the Office of Public Works, Kilkenny Castle forms part of the walls which protected the “Marble City” for many, many years. Why not visit the castle tea rooms which are located in the old kitchen area, for a taste of what it’s like to eat in a real castle kitchen? Or for large groups, areas of the medieval castle can be booked for events in advance. 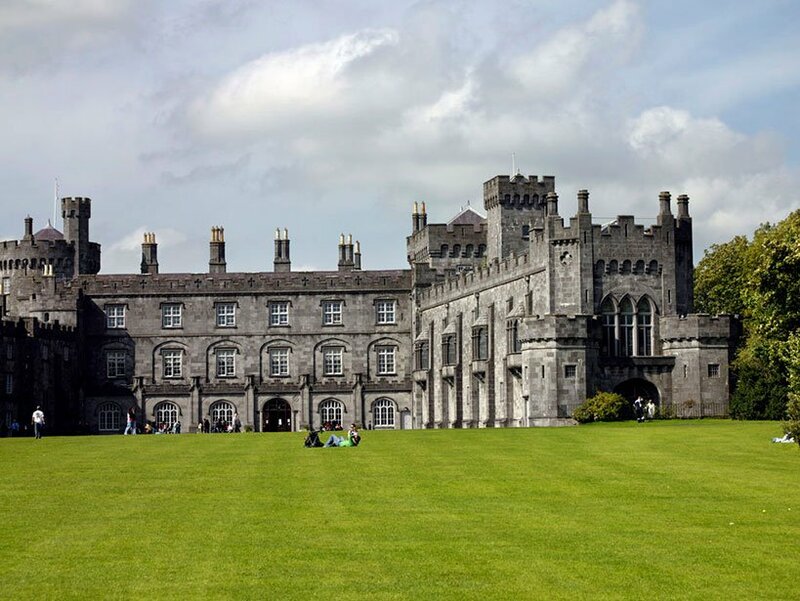 Set some time aside to walk the extensive grounds in this elevated location and look over beautiful Kilkenny city. A castle has stood on this site since the days of King John, the first King of Ireland, and up until 1922, it was the seat of the British rule in Ireland. 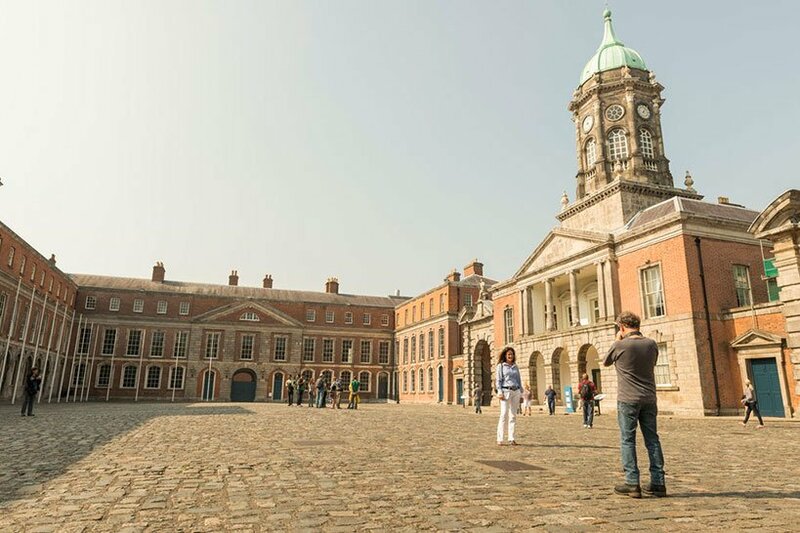 Located in the very centre of Dublin city, Dublin Castle is an oasis of calm. The beautiful Dubhlinn Gardens, completed in 1680 are a welcome place of peace on a busy day and you’ll frequently be able to watch street theatre, see artists at work, or listen to a public concert for free. 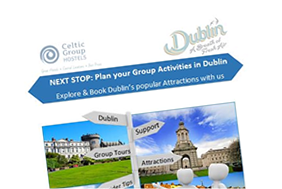 Visit the intact Norman Tower built in 1226 which now houses the Garda Museum, or wander around the Chester Beatty Library. You could easily while away a day here, secluded from the hustle and bustle of Dublin City Centre.